Fresh on the promotion trail for their latest film together, co-stars Diljit Dosanjh and Anushka Sharma have begun touring for Phillauri. For the film, Anushka has produced as well as been cast as the lead role. Both the stars were spotted promoting the film in Mumbai on March 10, 2017. 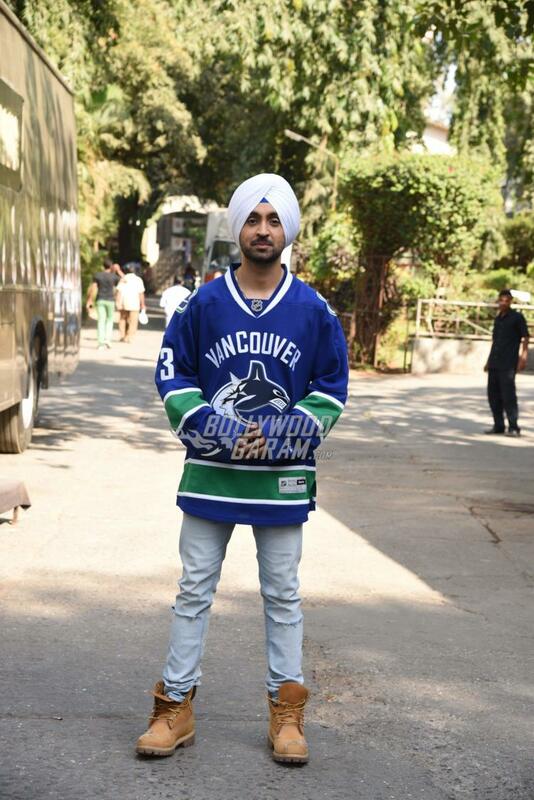 The actress looked gorgeous in a light green outfit and a baby blue long jacket while Diljit appeared in a blue pullover and a pair of denims. 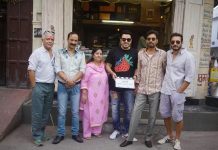 The markers of the film have begun the promotions of the movie which is directed by Anand Lal and is all set to hit theatres on March 24, 2017. Anushka Sharma and her brother have produced the film together. The talented actress will be seen playing the role of a friendly spirit, who claims that she got married to Kanan, played by Suraj Sharma. The filmmakers earlier released the trailer that caught everyone’s attention and has given an idea about how hilarious the movie could be. This is not the first time Anushka has turned producer for a film. The actress produced her first movie ‘NH 10’ which was based on the delicate subject of honor killing in India. Anushka’s Phillauri also stars Mehreen Pirzada and is produced under the banner of Fox Star Studios and Clean Slate Films. The film promises to be a good family movie, full of laughs and wholesome jokes. It is based in Punjab, surrounding the story of a farmer and has just four songs in total. Don’t forget to catch Phillauri in theatres and wait for the Bollywood Garam review!